"Bringing you the bird's-eye-view of Red Hawk news." To produce the most relevant news we can for our school and community. To seek content that will not only be of interest to readers, but will also impact them in a way that will provoke discussion. To provide and promote honest and impartial news and information. To develop top quality, professional and successful journalists. My name is Hanna Murphy. I am a new transfer to Hiawatha High as of February 28, 2019. As my close friends can attest, I am a small dose of weirdness as well as a full-blown nerd. I have been on this earth for seventeen years, and let me tell you, it has been quiet a journey. Growing up, I didn’t have a lot of friends because no one liked me for me. Now I stay up late reading, I almost always have headphone in, blaring Daughtry, Nickelback, Hinder, Lifehouse and other favorite bands. I have always loved to write, ever since I was a little girl. Going through school as a kid, I always had my family behind me when I didn’t have any friends. I am not a very sporty person. The sports that I enjoy happen outside of school. I play paintball on my godfather’s property in Fairport, Missouri. Paintball is a family tradition that is so much fun to play, and so many new memories are saved into the hard drive of my brain. Weird is definitely a word that describes me because I am not your typical teenage girl. I stay at home; I am surrounded by my parents, and my five siblings. I would much rather be curled up in my bed reading, or laughing at something my sister did, because she almost always makes me laugh. My family used to only have five people in it, however that all changed around Christmas of 2017. My mother came home one day and told us the news. We were going to be fostering a brother and sister set. From the day they stepped into our house in December 2017, I knew that they were the missing piece to the family puzzle. Fostering the two little ones has definitely opened up my eyes to the world around me. I think that it has changed me as a person. It has changed me so much that when I go to college in Portland, Oregon, I plan to major in English, and minor in Social Work. I am Hanna Murphy, and this is just part of my life story. My name is Karin Moorhous. I go to Hiawatha High School and I am fourteen years old. If you've been around me, you know my energy level is high and I'm an energetic person. Throughout my fourteen years, I've learned lessons and grown to be more independent. In elementary school I got the nickname “tank” from being clumsy and tough at the same time. I originally got the nickname from my uncle, John. Then, when I was in kindergarten, I tripped over a puzzle and had to get four stitches in my forehead. Throughout the years of middle school, I became more responsible and less clumsy. I got into sports like basketball, volleyball, and cross country. My eighth grade year was my second year of doing basketball. During a game, I got in a jump ball with the opposing team and the girl aggressively let go. I flew back and everything went fuzzy; that’s when I got my first concussion. In the summers of my middle school years, I focused on softball, where I played rec ball with my friends. I want to take softball more serious this year and play on the high school team. I also like to do gymnastics in my free time; some of my favorite things to do in gymnastics are front handsprings and back walkovers. I am dedicated to my church, The First Baptist Church of Hiawatha. During the summer, you can find me at church camps. Like last year, I went to a camp called Camp Hope. Camp Hope is a church camp where you have two little buddies. The buddies have at least one parent who has been incarcerated. This camp is an amazing experience where you get to know each other and see how you can change someone’s perspective on life just by being kind and being there for them no matter what happens. I still have a lot to learn, and I look forward to future experiences, such as the rest of my time in high school and going to college. I’m growing as a person and learning lessons as I go. For now I just need to focus on taking it one step at a time and living my life to the fullest. Jenna, a freshman at Hiawatha High, very much enjoys reading! Both Madere and her friends, Karin Moorhous, Kiara Stone, and Asia Donato, all agreed that reading is Jenna’s favorite thing. Her friends even mentioned that Jenna is almost ALWAYS reading! When asked if she had a favorite book, Jenna replied that she didn't have any specifically, but she really enjoys “Heartless” and “Renegades,” both by Marissa Meyer. Jenna enjoys watching basketball and playing softball. Friends Moorhous and Stone both agreed that their favorite memories with Jenna were made every time they were together. 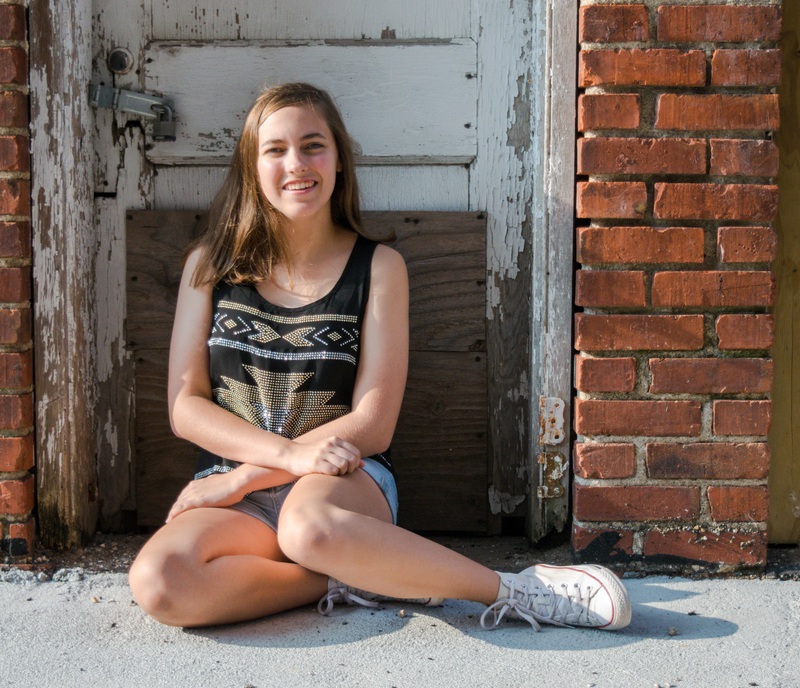 Though only a freshman, Jenna has often thought about attending either Kansas University or Harvard. She feels very passionately about women's rights, though she’s not sure if she’;; pursue a career that deals in this are. One interesting fact about Jenna is that she has many different nicknames. Among them are Jenna Bean, Benna, Blenna, and Bean. To relieve stress, Jenna likes to talk to her mom. She thinks that getting her feelings out and hearing her mom's advice is the best way to destress. Too often people succumb to the bandwagon effect and find that they are all-too-ready to latch on to whatever or whomever is popular, dominant and pervasive. After all, popular is easy, and easy is what humans have been working for since our inception. Not so, however, for Lillian Childs. 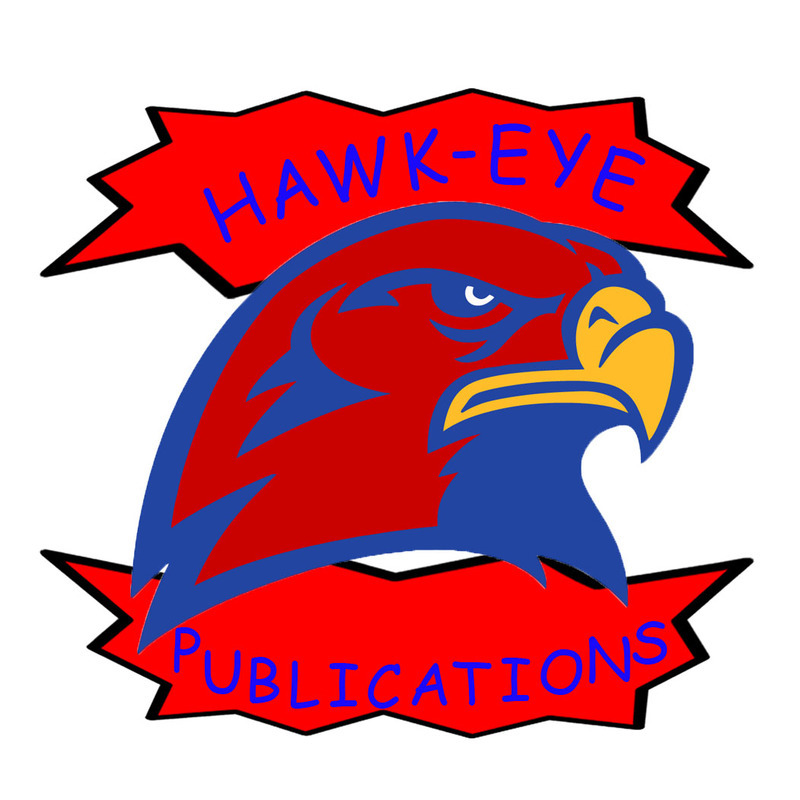 Childs, who is new to Hiawatha this school year and the newest addition to the Hawk-Eye staff, considers herself to be a champion of the under-represented. An avid reader, Childs cites one of her favorite books, “Out of My Mind,” as a perfect example of this sort of person, and attributes it in part to her interest in unsung voices. The protagonist of the novel, a fifth-grader with cerebral palsy, is one of the brightest students in her school. No one knows this, however, because of the difficulty she has communicating. She screams when a song she likes comes on, but her parents turn it off, thinking it bothers her. Born in Blue Springs, Missouri, Childs explains that she has never been in a place for longer than three years, which has afforded her a lot of opportunity to observe different people from all over. Most recently in Holton, she says that the most impactful place she’s lived has been Cape Coral, Fla., where she was able to find people she connected with. “I’m drawn to outcast people. People who don’t speak up when they should,” she explains. People seem, in fact, to be an area of particular interest for Lillian. She became interested in Hitler and the Holocaust in the seventh grade, and when I saw her reading “Mein Kampf” at lunch on her second day at HHS, I had to ask why. Childs aspires to pursue her interest in the human psyche into the future with ambitions to become an art and music therapist. "I know I'm good at helping people, but in a way I can relate to," says Childs. People don't always listen to advice, but will listen to music. [And with] art you can express all emotions. You can tell by their art how they're feeling." Meisenheimer is heavily involved in HHS through cheer, Pep club, KAY club, Biology club, and International Club, though cheer takes precedence. In fact, the best compliment she has ever received came from her cheer coach, Kelly Griswold-Pendleton. She is dedicated as a cheerleader and helps keep the rest of the squad focused. There is still more to Meisenheimer than cheerleading, though. 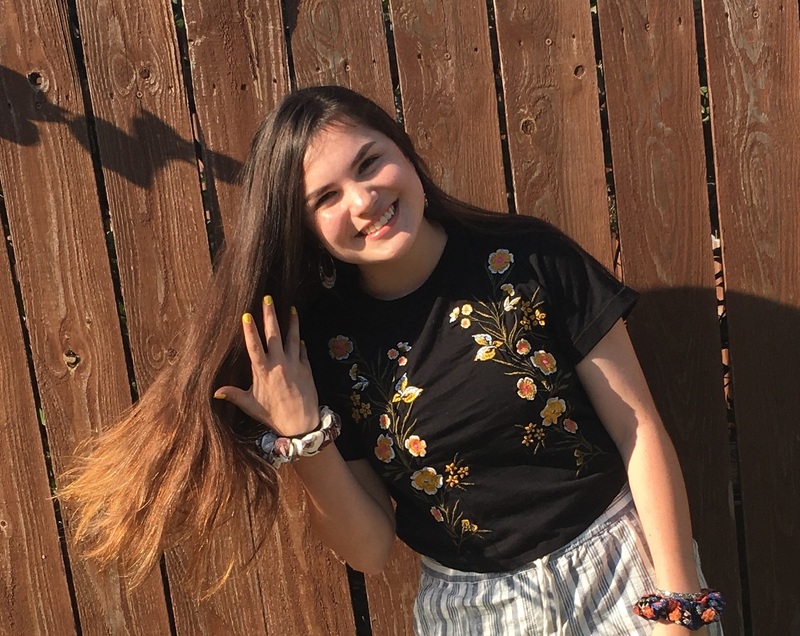 Her friends Athena Garza and Abigail Lowe describe her as lively, outgoing, smart, dependable, creative and selfless. She always stays positive, even in bad times, and always makes her friends laugh. She laughs with her friends about memes, weird things around town, and her mistakes. Lowe describes her as bubbly for this very reason. Garza and Lowe also describe her as kind. Meisenheimer demonstrated this when she became friends with Garza. Garza also states that Meisenheimer will help you out with homework and let you copy her notes if you miss class. Meisenheimer also has her quirks. Garza laughed the entire time she was telling me about a certain food habit of Meisenheimer’s. Things are not all sunshine and rainbows in Meisenheimer’s life, though. Her mother and father split up and she explains that she doesn’t really understand her father and her father doesn’t really understand her. She also puts very high expectations on herself in school life. Cheerleading also adds to the pressure.She states the hardest aspect about being a cheerleader is what people think about her. She handles this by trying her best to make the right choices, being a leader, and being selfless. Even with the ups and downs, Meisenheimer manages to stay positive. You may see Emily Meisenheimer walking around the halls of Hiawatha High with her best friend Athena, sometimes in her cheer uniform on game days. There is more to Meisenheimer than the girl you see in the hallways and the classroom, though. Kate and I sit in the back of the room so we can escape the shouting and rowdy activity that is the journalism classroom. "Can't Help Falling in Love" by Elvis plays on the journalism Spotify playlist, and she introduces herself as Kate Madsen, not Katherine. A lot of people settle for a few sports or extracurricular activities here and there, not feeling the need to exceed or go too far above and beyond. Not Kate. It would take less time to write all the things she's involved in than the things she’s not. She describes herself as a perfectionist, and always feels the need to stay preoccupied. 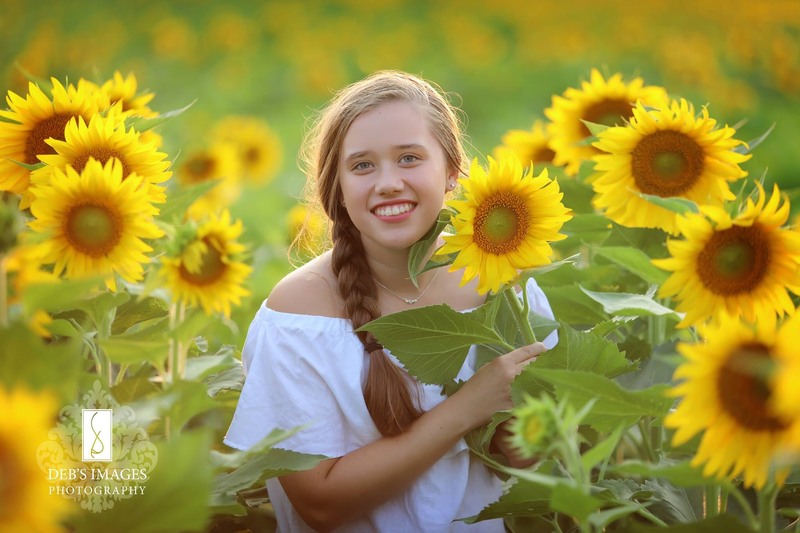 I knew this before she told me, because it was laborious trying to find time to interview her with her engaging schedule - cross country, basketball, swim team, softball, track, weights, dance, StuCo, numerous clubs, and the school musical. Madsen has lived in Hiawatha her whole life, in the same schools with the same classmates, on the same street and in the same house. Kate, however, is everything but the same. She manages to crack up at her own jokes with her contagious laugh, and never breaks under pressure, even when it's heavily placed. I ask her what her biggest stress in life is and she repeats the question (to me or herself I’m not quite sure), then states that it's all the expectations and pressure she creates for herself, admitting that she is, in fact, her biggest critic. I felt as if I was listening to an inspirational talk on YouTube that had over three million views when she was talking about her motivation to run, to dance, and to learn - it was upfront and real. In her free time, she likes to run. Madsen enjoys painting as well, and her grandma was a talented painter herself. “It's a creative outlet type of thing... and it kinda helps me feel closer to my grandma.” Her favorite thing to paint is inspirational quotes which, she stated, make great gift ideas. “I'm a sucker for quotes” she admits. They're her daily reminders to be unstoppable in everything she does and to always push towards her goals. Though she does also enjoy relishing in her daily dose of Vine compilations and “spicy memes,” just like every other sane teenager in today's culture. Kate is an innovative and astonishing person with her restless spirit and down-to-earth attitude. Her benevolent smile and contagious laughter could make anyone's day without fail. Everyone should take a few notes from Kate, not Katherine. Most people are one of two things: they are creative or logical, introverted or extroverted, they like rap or country, and so on. Most people fit neatly into the boxes created for them, a skill Athena herself claims to be fairly adept at. However, Athena is one of those people who does not fit neatly into a box. As I interviewed her in the hallway, she sat cross legged, her dark black hair partially hiding her wise, caring eyes. She seemed shy, but as I began to ask her about her past, I realized that my original observation was far from the truth. She told me that as she grew up, she moved around a lot. As a result, she became very good at making friends, and this has allowed her to be able to quickly fit in. However, she is neither completely extroverted nor introverted. She describes herself as an extrovert, but also confesses to have her own introverted tendencies. “I feel like everyone just kind of puts on a facade for other people,” she explains. Wow, ain’t that the truth, I thought to myself. So I guessed I shouldn’t have been surprised when she told me she was a poet. Nonetheless, I was still mildly shocked when she pulled out her phone and excitedly opened it to the Notes app. I mean, an iPhone isn’t exactly where you would expect to find startling words of wisdom. But as she read me one of her poems - written from the point of view of December - I was shocked at how broken and beautiful, wise and rebellious she paints her subject. Despite the clammy, noisy hallway, I am taken aback at her words, and I feel my arms break out in goosebumps. I’m still quaking over the beauty of her words, but I as I move on in my interview, I see the goofy, funny side of Athena we are all familiar with. She jokes with Mr. Kliewer as he passes through the hallway. She tells me the most hilarious story about the first time she ever cursed, and I find myself cracking up just imagining the scene. Her infectious laugh and good-natured personality shine through, and this puts me in a good mood hours after the interview is done. So you see, Athena doesn’t fit into a box, and if you really think about it, none of us do. Sometimes, you just have to sit down with a person to listen to what they have to say. I’m so glad I did. You open your eyes to the bright lights of an operating room. You don’t remember asking “did they find anything?” four times already, so you ask it again. “Did they find anything?” You knew something was wrong, you just didn’t know it would change your entire life. When I first sat down with Robin, she was all smiles. A comfortable feeling surrounded the interview and I immediately felt calm, as if we had known each other for years. She told me first about her life growing up in small town Hiawatha, Kansas. Living with two younger sisters was definitely a chaotic way to grow up, but Robin insists that her biggest accomplishment is being an older sister; taking part in forming two people into active members of society. I’m inclined to believe her as a genuine smile crosses her face as we broach this subject. As a child, Robin didn’t move around. She goes on to say that this stability in her life made her realize what she wants for her own life as an adult: a stable home, a husband with her own strong religious beliefs and, at the very least, four children. When asked about the current stability in her life, I was told that she finds a healthy life balance between working, school and sports by making time for everything that needs done and then getting it done. While the weekdays are busy, Robin spends her weekends pursuing interests that she enjoys immensely. These include playing her piccolo and flute, reading, and spending time with family, friends and pets. While family is a large aspect of her life, Robin is also actively involved in her community. From softball to helping at Latchkey and her local youth group, Madere’s is a familiar face. Inside Hiawatha High School she is involved in International Club, Red Hawk Readers, and the National Honors Society. 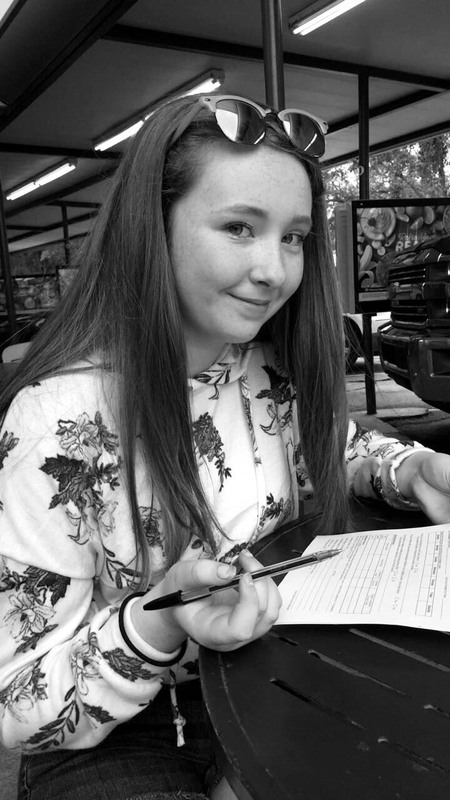 She is also part of the Hiawatha High Publications staff and considers making it to state journalism her sophomore year one of her biggest accomplishments. Amongst her other accomplishments, Robin is especially proud of being recognized as the Best of the Best in her traveling softball league, and a proud smile accompanies this statement as I ask her about it.. However, her ability to perform in her chosen sport dramatically changed when a sudden obstacle popped up. Robin considers her knee injury to be a defining moment in her life - a challenge to find new ways to cope with life and new methods to continue growing as a softball player and as a person. Her father helped her along the way and provided the support she needed. From showing her the sport that she would fall in love with to deep conversations on the road, Robin tells me that he is definitely an influential person in her life. While softball has been a big part of her life, Robin finds joy in many of life’s tiny pleasures. From receiving cute compliments on Instagram to being a teacher’s assistant at her local preschool, Robin insists that there are so many rewarding things in life. While there are many great things about our small town and state, Robin is a firm believer that our education system must be altered for the better and that this is an incredibly pressing issue. Her voice becomes very passionate as she further explains her views on our current education system. School itself is an emotionally multi-layered ordeal. While spending time with friends is enjoyable for Robin, she finds that tests are a big form of anxiety for her. Tests dredge up sudden insecurities about her actual pool of knowledge, but her amazing G.P.A. tells another story. Robin finds a channel for this anxiety by being religiously active and seeking contentment in the words of one of her idols, Greg Steer, a religious speaker. While Robin doesn’t have an exact direction for her future and insists that it’s “open for change,” we can safely say that Robin Madere is definitely going places. Isabella Eppens was born August 28, making her the youngest in her class. Although she is the youngest, that does not stop her from doing anything that she puts her mind to. During her freshman year, she received many awards as a member of FFA. She is also the president of Red Hawk Readers and secretary of International Club. Having grown up in Hiawatha and Reserve, Eppens has still has traveled to many places, including Nebraska, Missouri, Iowa, Colorado, Texas, California and Mexico. With school back in session and other obstacles in life, she handles her stress by taking time for herself and “having hope that it will get better, that it is only temporary.” Maybe we should all be like Isabella with many things in life. Bella’s favorite activity to do with her friends would have to be hanging out and cruising around town. Any person could explain Bella as a fun girl who loves to read and listen to music. She also has a lot of fun during the summer at camp. As a senior, she has started thinking about her future. Her plan is to pursue a career as an English teacher. She has always loved English, and so she is getting a feel, this year, of how it would be to be a teacher by working as a teacher's assistant for Mrs. Reschke. Many might think that, growing up on a farm, Geiger would be too busy helping around the farm or horse riding to be involved in much else. Geiger, however, defies these stereotypes through her involvement in the school and community. She keeps involved in the school through being a member of pep club, International club, Red Hawk Readers, track and forensics. “I’m always stressed out whenever I have a competition coming up, like a track meet, even to the second before the gun shoots. I’m always so anxious and stressed out, but the minute it starts, I’m in my zone…” Geiger reports about track, her all-time favorite sport. Geiger shows her love for the sport though her qualification for state last year as a freshman in the 100 meter high-hurdles. Some might assume that Geiger lets this accomplishment go to her head and that she walks around like she is better than everyone else, but Geiger claims that this is simply not true. She likes to be confident, and her confidence can sometimes come off as her thinking she is better than others even when she does not feel this way. “My key motivation would probably be just trying to be the best version of me that I can be… it definitely drives me to be better because I know there is always an extra ounce, there’s always another ounce I can give, there’s always another effort I can make and so that really drives me,” Geiger explains about how she keeps herself motivated through life and its many struggles. She also explains that she doesn’t let a fight with friends last long; she always makes sure to go to them as soon as she can and figure out a way that they can work it out and both be happy. Geiger draws ideas on who she wants to be as a person from her dad. He is her biggest role model and embodies the personality she possesses and admires in others. Geiger’s father is not a super-emotional man, but he is super honest and someone you can count on for the truth. 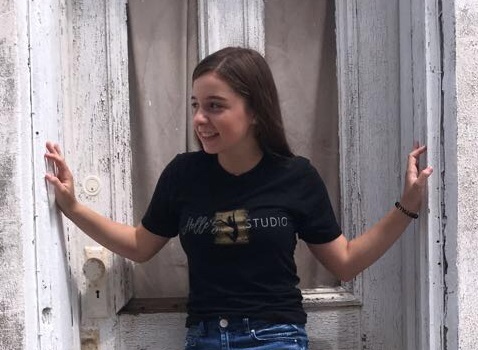 Geiger not only likes to be honest like her dad, but she also describes herself as being an opinionated person, which may come from her passion for politics. “I am so passionate about politics and a lot of people my age are intimidated by it sometimes just because I like to be really up-to-date and informed, but I’m really big on the whole political scene and what’s going on because I feel like it affects even high schoolers,” Geiger says about one of her biggest passions. All-in-all, Geiger doesn’t let living on a farm keep her from being well-rounded and involved through her interests in politics, clubs, sports, and hobbies. Abigail Lowe or Abby Joe? What is it that makes Abigail Lowe so interesting? Is there anything that makes her stand out above the crowd? Well I’ve interviewed Miss Lowe to find out. Abigail’s greatest upperclassman inspiration and one of her closest friends is junior Harley Calhoon, whom she trusts and shares the title of co-captain with in cheer. Close friends like Harley might be heard calling Abigail nicknames like Abs, Abby, or even Abby Joe. Things that make Abigail happy include dancing, baking, hanging with her cats, and talking to people (even if she doesn’t know them). She also likes to cheer and do gymnastics. When Abigail grows up she wants two to three children and wants to be married to a nice, supportive, and strong husband. Abigail would like to grow up to be either a surgeon, a zookeeper, or a combination baker and a part-time dance teacher. Abigail plans on achieving one of these goals by going to the University of Nebraska, a college she’s wanted to go to for a while. Something that stresses out the young Lowe girl is trying to balance all of her homework with cheer, however it’s all worth it to her because she gets to see her friends every day. When asked if she has a job, Abigail answered “yes and no” because she helps her dance teacher teach the younger kids how to dance. That’s not all, she also helps around the community by refereeing soccer games and babysitting. 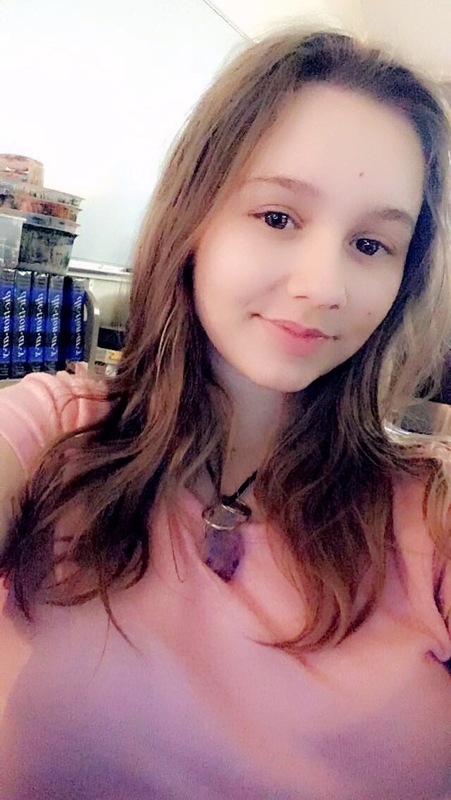 Abigail’s favorite book is “The Book Thief” by Markus Zusak, her favorite movie is “Me Before You,” and her favorite song is anything by the band 5 Seconds of Summer.